Laurence C. Breiterman, D.M.D., M.A.G.D., uses dental implants to create a support system for dentures that will allow them to be as strong as natural teeth without the need for adhesives. As a dentist with extensive experience in implant dentistry, he understands the embarrassment that can come from dentures that no longer fit properly. There may be clicking sounds, denture slippage, and it may be difficult to chew certain foods. 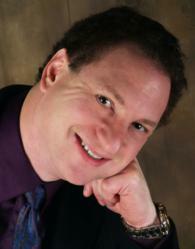 Dr. Laurence C. Breiterman supports dentures with dental implants. Dr. Laurence C. Breiterman of Advanced Dental Techniques uses implants to help support dentures and provide both security and strength to the denture. In addition, because they get support from within the bone itself, the extreme bone degeneration normally associated with denture use is halted. As a dentist that wants his patients to be able to smile and eat with confidence, Dr. Breiterman appreciates the results that can come with implant supported dentures. Statistics show that many adults lose permanent teeth throughout their lives. By the time people reach the age of 74, nearly 25 percent of them have lost all of their teeth. Without teeth, the jawbone begins to degenerate and can lead to the ‘sunken face’ look that many elderly people have. In order to eat and speak properly, these people require replacement teeth. Dental implants actually work like natural teeth, stimulating bone growth and preventing bone degeneration that is common with dentures. Implant supported dentures are extremely popular because they prevent dentures from moving around like unsecured dentures, allowing people to bite into hard foods without dislodging them or getting sore spots. Dental implants used to support dentures are made of titanium, which fuses with the bone. This special metal is used in other types of implants as well because it allows bone to attach to it. Following implant placement, the implants are allowed to fuse with the jaw bone. Following a healing phase, the dentures can be attached to the implants in several ways. One of the most popular methods utilizes titanium ball attachments that use a system of rubber O-rings within the denture and ball tops for the implants. The denture then snaps into place over the balls. If the bone is weaker or the denture requires more retention, the implants can be linked together with a bar that is then attached to the denture. Even more sophisticated methods are available that allow the denture to be screwed directly to the implants, providing a more permanent feel. Whichever system is designed for an individual patient, all will mean a more secure denture that provides increased retention and biting force while being more comfortable to wear. Patients can have a natural-looking smile and are able to eat and speak naturally if they opt for implant supported dentures. To learn more about how a dentist can use implants to help patients with dentures, visit http://www.newjerseygumsurgery.com.